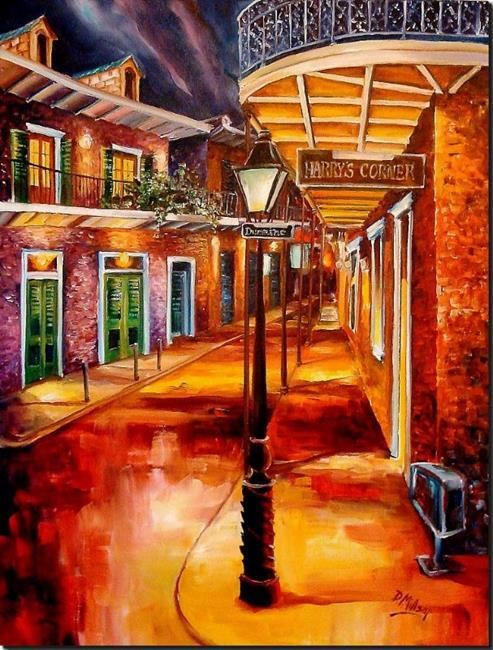 When you take an evening stroll down New Orleans' Chartres Street, you are instantly transported back to a time of flickering gas lanterns, doors shuttered for the night, and the sound of a carriage clattering down narrow streets. You walk past mysterious darkened carriage ways with enormous iron gates. You may hear water dripping from the lush vines which hang from the balconies overhead, or the hushed whispers of lovers as they hurry past you on the slate covered sidewalk. But, this is not a dream or a Hollywood soundstage. This is the year 2012 in the French Quarter, where people live and work admidst the layers of New Orleans' history. And, Harry's Corner Bar takes its place in this historic neighborhood. It is imersed in the hazy memories of the past which seem to seep from every old brick wall, from every heavy wooden door. Harry's is a vibrant neighborhood gathering place, but it is also a part of the intricate weaving of the fabric of the French Quarter; where the past and the present merge in perfect, beautiful harmony.